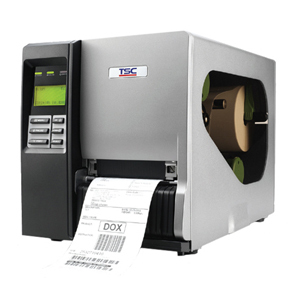 There are two types of label printer, direct thermal and thermal transfer. Uses heat sensitive paper labels to produce black text, barcodes & images, the print lasts 6 – 12 months before fading unless exposed to direct sunlight. Standard (uncoated) labels will mark when scuffed. Uses standard paper or synthetic labels with an ink ribbon to produce a permanent print. Direct thermal labels are more convenient, since you do not have to load an ink ribbon, but in general, are not as durable as thermal transfer labels. AM Labels can however provide more durable forms, e.g. coated paper labels and direct thermal synthetic labels (see label selection guide). Monochrome ribbons contain a black ink panel the same size as each page being printed, while color ribbons contain panels for each color. When the paper and ribbon are passed by the printhead, the ribbon is heated, and dots of ink are transferred to the paper. The quality and durability of thermal transfer print will depend on the label material and grade of ribbon used. Some lower cost desktop printers are direct thermal only, but thermal transfer desktop printers and most medium volume and industrial printers will work in both modes. Barcode label printers allow for a wide range of label materials to be printed at varying speeds with excellent print quality. 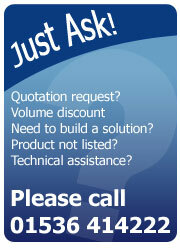 There are a wide range of barcode label printers available from Zebra, Datamax, Intermec, TEC and Sato.